With Python for the Life Sciences, Lancaster and Webster have provided a comprehensive introduction to using Python for computational biology. Biologists use Python for data wrangling, statistical inference, and developing mathematical models, and PftLS provide guidance on all three of these application areas. Notably, Lancaster and Webster bring the sage advice of experienced software developers to the table – they share bits of trivia and historical context that make programming fun and make the occasional quirks of Python/Unix more understandable. This is not a superficial introduction, and careful readers will emerge with a deep understanding of Python, rather than as simple users. It is a lovely book with humor and perspective. Alex and Gordon’s enthusiasm for Python is contagious. Their book is specifically written for those who understand they could greatly benefit from some training in computer programming. This addition to their academic research will be invaluable. The various chapters take you through a combined tour of Python and the multitude of biological issues it is relevant to. This is not just a ‘recipe’ book for how to use Python, nor a how to book on advanced tools but a way jumpstart your imagination. Fun, entertaining, witty and darn useful. A magical portal to the big data revolution. Informatics is a key component of modern biological science, and programming skills are essential for the modern Life Sciences researcher. Even if one does not write programs, the ability to read and understand code is becoming as important as being able to read a published paper. 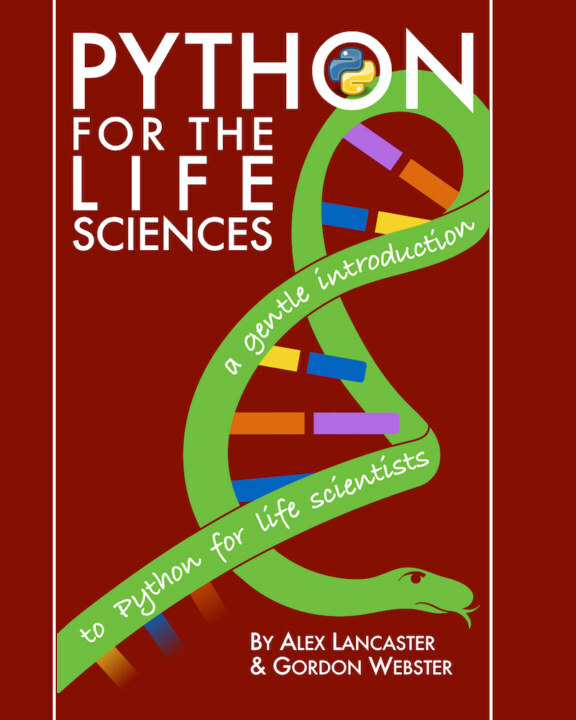 Webster and Lancaster’s, Python for the Life Sciences is an excellent tutorial, for both programming novices and experienced coders who wish to learn Python.